Life isn’t easy running a plumbing and heating company. One of the banes of the lives of many owner-managers is paperwork, and VAT comes high on the pain list within that. Benjamin Dyer of Powered Now looks at some of the core principles for dealing with VAT. All registered plumbing and heating businesses have to add VAT to their sales invoices. All businesses, irrespective of whether they are a limited company, sole trader or partnership, must register for VAT with HMRC and then start charging VAT within 30 days of when their last 12 months sales go over the VAT threshold. This is currently £85,000. They must then also file a quarterly VAT return and make quarterly VAT payments to HMRC. The payments are usually one calendar month and seven days after the end of each quarter. For example, when a company completes a job that involved buying £5000 of materials with £1000 VAT at 20% added, this gives a total materials bill to be paid of £6000. They do £2500 worth of labour, so they charge the customer £5000 + £2500 = £7500. Accordingly, £1500 VAT at 20% is then added, giving a total bill to the customer of £9000. It seems like the company is £1000 out of pocket for the VAT on the materials, but this isn’t the case. The company only has to pay HMRC £1500 (the VAT received from the customer) – £1000 (the amount paid to the supplier) = £500, so the company gets the full £2500 for their labour. Using the same example, a non-VAT registered business would charge the customer £6000 (the amount they paid for materials including VAT) + £2500 (the amount for their labour) = £8500. This is £500 less than the VAT registered business for the same work and pay. This gives the non-VAT registered business a competitive advantage. You will rarely come across exempt in your business. Examples where VAT is exempt are postage, financial and property transactions, insurance and education. Most work by the trade is charged at the standard rate of 20%, including installing a central heating system. Unfortunately, there are a pile of exceptions and the trade has the most complex rules relating to VAT. That’s because a new build is usually zero-rated, and some conversions and refurbishments are charged at the reduced rate of 5%. Energy saving materials or devices and installing things related to people’s disabilities also attract the reduced rate. Obviously, the reduced rate saves money for the customer but also provides a competitive advantage if the competition doesn’t understand the rules. You have to establish the correct rate of VAT which applies to each job, and it’s a good idea to involve an accountant who has plenty of experience in this area if you think you might be able to charge a lower rate. Both VAT-registered and non-VAT registered businesses have to pass on the VAT on materials to their customers. However, a VAT-registered business also has to add VAT to their labour and any profit, so they are at a disadvantage to the non-VAT registered business, having to charge homeowners more to achieve the same. The obvious thing to do to minimise VAT would seem to be running multiple companies, each of which traded under the VAT limit. Unfortunately, the law doesn’t allow this. Setting up ‘Birmingham Plumbing’, ‘Wolverhampton Plumbing’, etc. to avoid VAT isn’t allowed, whether these are separate companies or just trading names. When approaching the VAT threshold, the best way to stave things off is to get customers to pay directly for materials that you will be using. If you buy a boiler with the cost passed on to the end customer, it forms part of your sales turnover whether a mark-up is added or not. There is a way that you can still buy major items but not have them count towards your sales – it’s called disbursements – but this is quite complicated. The normal VAT scheme is where a business submits their VAT return once every three months based on sales invoices, supplier invoices and expenses with a date within that three month period. These are included based on the date they were raised – not whether they have been paid. The cash accounting scheme is an alternative to the standard scheme and means that a business only becomes liable for VAT-based on invoices and expenses that are paid in the three month period. This is not a benefit if you generally get quickly paid for invoices. The cash accounting scheme can only be joined if a business’s sales will be £1,350,000 or less in the next year. If sales in the last 12 months go over £1,600,000 then they must leave the scheme at the end of the next quarter. There is also a ‘flat rate scheme’ where a combination VAT rate is charged, but there isn’t room to cover it here. The best advice is to consult an accountant on which scheme you should use. There are various twists so, for instance, if you lease vans, that can make a big difference to which scheme works best. Hopefully this article has given a feel for VAT and will help you to know what to discuss with your accountant. Unfortunately, the rules are more complex when a business is small due to the choice of schemes, and that’s before even looking at the myriad of rules around reduced rate and zero-rated work. I would add that I am not an accountant, although I have checked the advice here with an accountant. Once a business is a decent size, consulting an accountant usually saves much more than it costs. All the best with getting this right. Benjamin Dyer is CEO and co-founder of Powered Now. 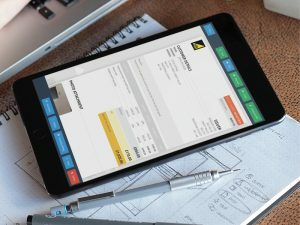 Powered Now’s mobile app aims to make it easier for plumbers, gas engineers, builders and other trades to run their businesses. « Are you managing your fleet budget?